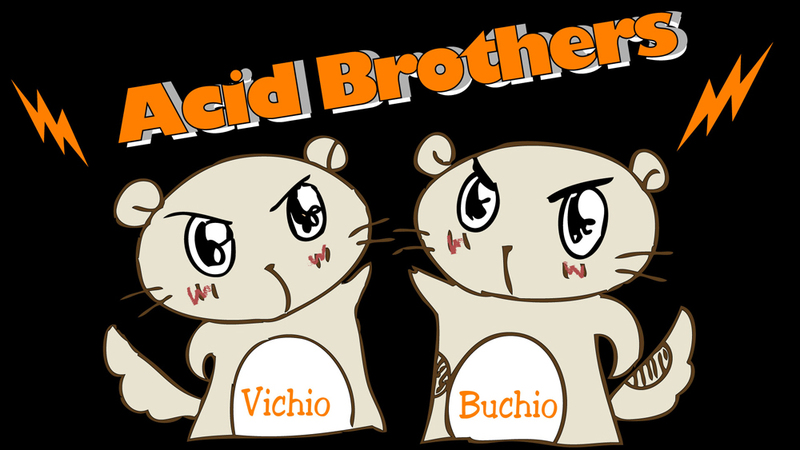 ACID BROTHERS is a duo consisting of Ezo flying squirrel brothers Vichio(younger brother) and Buchio(elder brother). They came from Ezo to Tokyo by themselves for being a star in 2009. They are acid guys who love YOJI and The Prodigy a lot… and have a huge dream. In Sep 2011, Their debut single “Revenge of Acid Brothers” was released with huge impact. They kept releasing Vitchy, Butchy and Techy tracks filled with small animal’s kids spirit since then. Finally, they finished to release for four month running on “Taian”. It’s the first time in small animal world. Every move on their instinct they make attracts a great deal of attention!